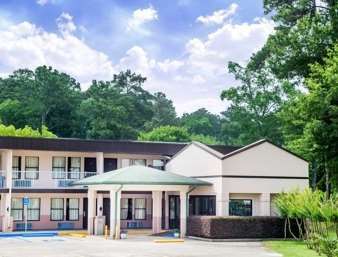 The Super 8 is located in beautiful downtown Gadsden Alabama. Conveniently located with-in 2 miles of many restaurants and shopping centers. We offer Free Wireless High Speed Internet, Free Super Start Breakfast, Refrigerators, Microwaves, Irons, Ironing Boards, coffeemakers and Hairdryers in all rooms. Free passes to Gold's Gym available for guests. A 30-day 4PM cancellation notice is required by our motel, when 5 or more rooms are reserved under the same quest name. A ram-headed "storyteller" reads to an array of frogs and animals in this fountain sculpture -- interpreted by some as Satanic. In a park across from the Civil Rights Institute, snarling police dogs leap inward from two parallel walls. Since 1989, folk artist Joe Minter has filled his yard with homemade sculptures, shrines, and signs as a tribute to African-Americans, on orders from God. He welcomes visitors.